I really enjoyed the banter and true caring that was evident between Glisselda and Lucian as well as Viridius and Phina. Also, Seraphina’s all-too-real fears about the discrimination she’ll likely face and her bond with Orma seem plausible and relatable. The dragons are also a strength in the writing here because they seem like real living, creatures, not just fire-breathing monsters. But I guess my biggest problem with Seraphina is simply: who is it written for? Tweens? Teens? Grownups? 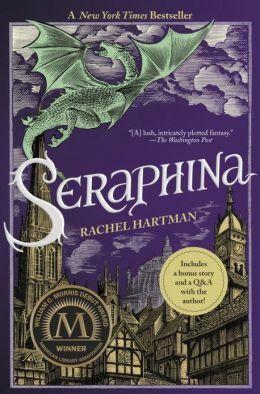 Frankly, Seraphina seems too pedantic and pompously worded for YA and a few of the sexual references were a little too bawdy or graphic to seem appropriate for teens. Also, in my opinion, no kid is going to understand what is going on here or look up all the medieval terms or understand the somewhat dense jargon even though a glossary is provided. I feel that the subject matter and the main character’s age, though, make it unlikely to be mainstream adult fiction, even for fantasy…Ah well, still worth the read. Not sure if I’d pursue a sequel, although there will surely be one. 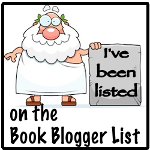 This entry was posted in Fantasy, Fiction, Young Adult and tagged dragons, fantasy, Rachel Hartman, Seraphina, YA. Bookmark the permalink.